Okay moms (or soon to be moms) this one is for you! Formula is expensive and the cost can add up quickly, especially if your little one does not like the kind you just bought. Mead Johnson & Company are offering a Free 10 oz. 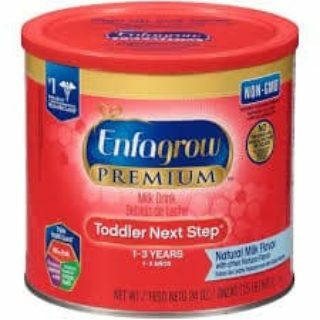 sample of Enfagrow Premium Toddler Next Step for children between 1-3 years old. Click here to fill out the form, then look for your free sample in 2-3 weeks. This offer is available while supplies last. This is a great chance to try out a new formula before spending money on it!